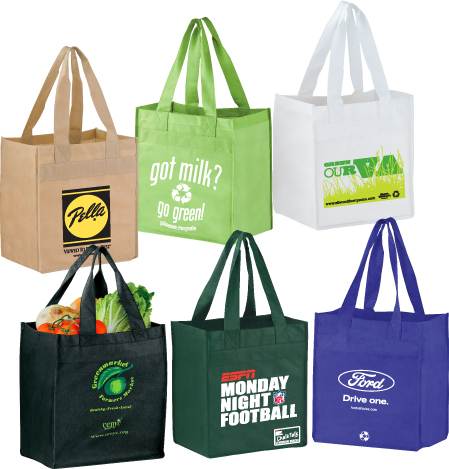 Non Woven Grocery Tote Bags can make a statement. Can be used as give-aways or for employees, at company functions, conferences, convention, tradeshow, at family get-togethers and reunions. If you want to provide the best quality printed Tote Bag, this is the source. Excellent bag for shopping.